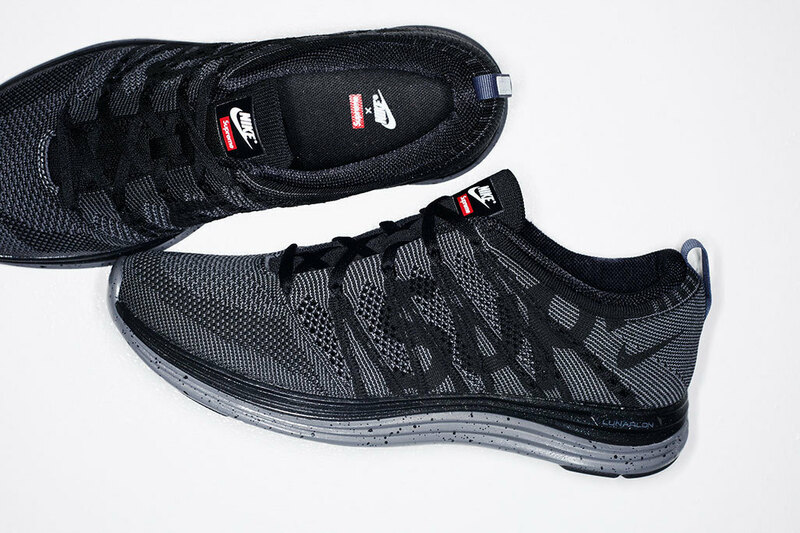 The surprising Supreme x Nike Flyknit 1+ collaboration, first previewed yesterday, will release this week at Supreme locations. 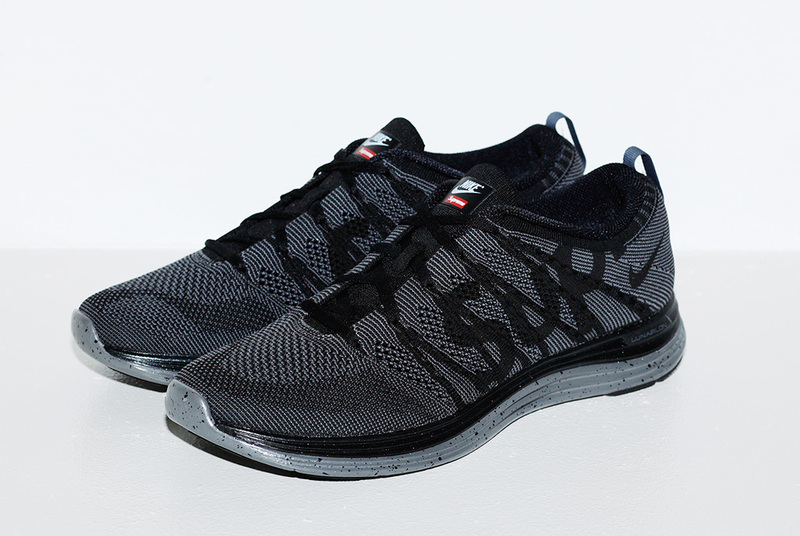 A project developed by Supreme, Nike Running and Nike SB, the "Supreme" Flyknit Lunar 1+ features a special upper with Supreme's iconic script replacing the normal swoosh (a miniature swoosh is instead placed near the heel). A classic red Supreme box logo appears on the tongue, while a reflective box logo appears on the heel tab. 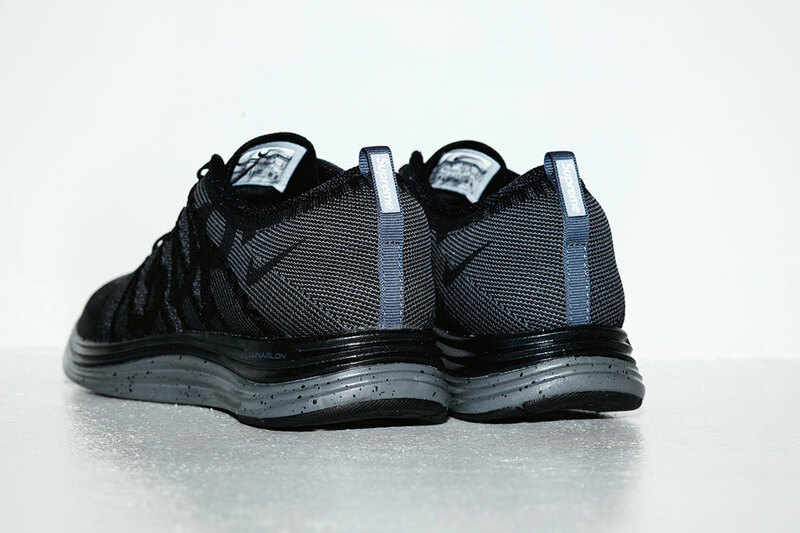 The Supreme x Nike Flyknit Lunar 1+ will release in-store at Supreme NY, LA, London and online on Thursday, October 3. Supreme's Japanese locations will follow with a release on Saturday, October 5.